Anaferon - homeopathic medicine. It is used in secondary immunodeficiency of various etiologies, flu and colds (rhinitis, pharyngitis, laryngitis, tracheobronchitis), herpes and cytomegalovirus infections, prevention of complications of viral infections. Anaferon / Anaferon / Anaferonum. 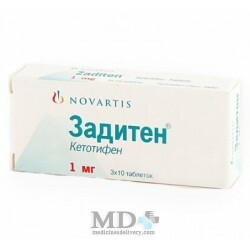 Anaferon sublingual tablets 20 pcs. in the package. 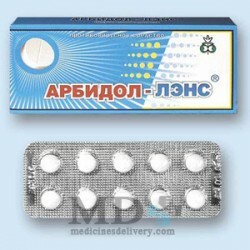 Anaferon children sublingual tablets 0,3 g to 20 or 40 pieces. in the package. Anaferon - homeopathic medicine. The combined technique Anaferon with antipyretic and anti-inflammatory drugs can reduce the dose and the deadline for the latter. secondary immunodeficiency states of various etiologies (treatment). At one time - 1 tablet Anaferon (keep in the mouth until dissolved), out of touch with the meal. Children aged 6 months to 3 years a single dose (1 tablet Anaferon) dissolved in 5-15 ml of water at room temperature and give a drink. in the first 2:00 to take 1 tablet Anaferon every 30 minutes (5 receptions); then take on the first day even 3 tablets at regular intervals (only the first day of the disease to take 8 tablets); from the second day and then Anaferon should take 1 tablet 3 times a day until recovery; to reduce the risk of complications is recommended to continue receiving Anaferon 1 tablet 1 time a day for 14 days. In the absence of improvement on the third day of treatment Anaferon should consult your doctor. If necessary Anaferon can be combined with analgesic and antipyretic agents. From prevention to (SARS, influenza) Anaferon take daily, 1 tablet 1 time a day for 1-3 months (during the whole epidsezona). increased individual sensitivity to the components Anaferon. Clinical data on the use Anaferon during pregnancy and breastfeeding is not. Contraindicated. Possible (very rare) allergic reactions to excipients Anaferon. Before using the drug should consult a physician. Anaferon incompatibilities with other pharmacological tools were observed. In a dry, dark place at temperatures below 25 ° C.